The Sept. 10 space reorganization memo includes specific actions and assigns responsibilities. Deputy Secretary Shanahan is overseeing the entire effort, but the Chairman of the Joint Chiefs of Staff and the undersecretary of defense for policy also have significant roles. WASHINGTON — Deputy Defense Secretary Patrick Shanahan this week issued a detailed plan for how the Pentagon will move forward to create a Space Force as the sixth branch of the armed forces by fiscal year 2020. The plan, laid out in a Sept. 10 memo titled “Space Reorganization and Management Tasks,” includes actions that the Pentagon will pursue using executive branch authorities — standing up a unified command for space, a Space Development Agency and Space Operations Forces. These proposals were presented to Congress in a report on Aug. 9. The establishment of the Space Force as a military branch must be approved by Congress and written into legislation. Shanahan’s Sept. 10 memo, a copy of which was obtained by SpaceNews, explains the steps DoD will take to develop a legislative proposal. The memo makes it clear that the space reorganization is being led from the top down. Shanahan is overseeing the entire effort, but the Chairman of the Joint Chiefs of Staff and the undersecretary of defense for policy also have significant roles. The Air Force, which owns 90 percent of the military’s space programs and functions, only will have a limited support role in shaping the transition to a future Space Force. The Director of National Intelligence is cc’ed in the memo. Shanahan’s orders have short deadlines. Many of the tasks are due in the coming weeks, and the legislative proposal could arrive at the White House as early as Dec. 1, 2018. To avert concerns that a new service will saddle the military with billions of dollars in added overhead costs, the memo says the Space Force should have a “lean” bureaucracy. A “Space Governance Committee” led by Shanahan will have the final word on any reorganization action and on the legislative proposal before it goes to the White House. Shanahan also will establish and designate the leader of a “working group” to help with the implementation that will include representatives from all military branches and relevant DoD agencies. The creation of a Space Development Agency also could happen relatively soon. Shanahan directs Undersecretary of Defense for Research and Engineering Michael Griffin and Air Force Secretary Heather Wilson to “each develop a concept for establishing the SDA.” The draft concepts are due to the governing committee by Sept 14. The chairman of the Joint Chiefs and the undersecretary of defense for personnel and readiness will organize what DoD calls “Space Operations Forces.” They will “produce a complete inventory of all forces and functions conducting or directly supporting space operations and designating space operations forces.” They will have to develop a plan to manage active, reserve, National Guard and civilian workers. The Joint Staff must provide an interim progress review to the governing committee by Oct 1. The Pentagon’s chief management office will be responsible to set up a new office for an assistant secretary of defense for space, the memo says. A plan, due Oct. 1, should “include options for consolidating civilian oversight of space and outline how it could evolve into the future headquarters of the Space Force.” The White House Liaison Office will begin identifying candidates. 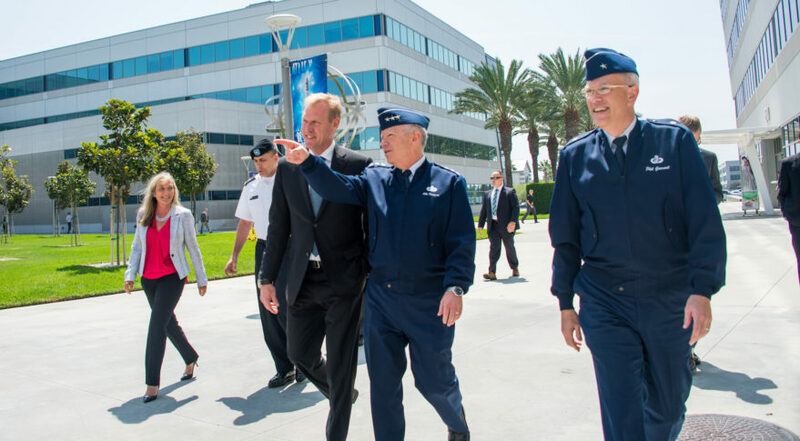 Shanahan directed the DoD comptroller to put together a budget proposal by Oct. 15 for the establishment of a Space Force to be included in the fiscal year 2020 request. The Pentagon’s director of cost assessment and program evaluation will develop a five-year cost estimate. The memo says the budget should include the cost for the Space Force, the Space Development Agency, the Space Operations Forces, U.S. Space Command and the path for transferring space budgets to the Space Force.